Aren’t these the guys who were supposed to be in Italy and back again by now? But for 14 months, we have been working and re-routing and applying and reaching out and reapplying and pursuing and investigating new routes, and the door to Italy, at least for now, is firmly closed. Rujerry and Jean William’s travel visas have been denied several times, and after a year of asking the Lord to open thatdoor, we at Emmaus started asking the Lord to open His door, and to make it too wide to miss. David’s* organization is at the forefront of disciple-making, evangelism and church-planting in Togo, where the speedy growth of Islam, the carelessness of churches, and the deeply rooted Voodoo in the culture are huge challenges. 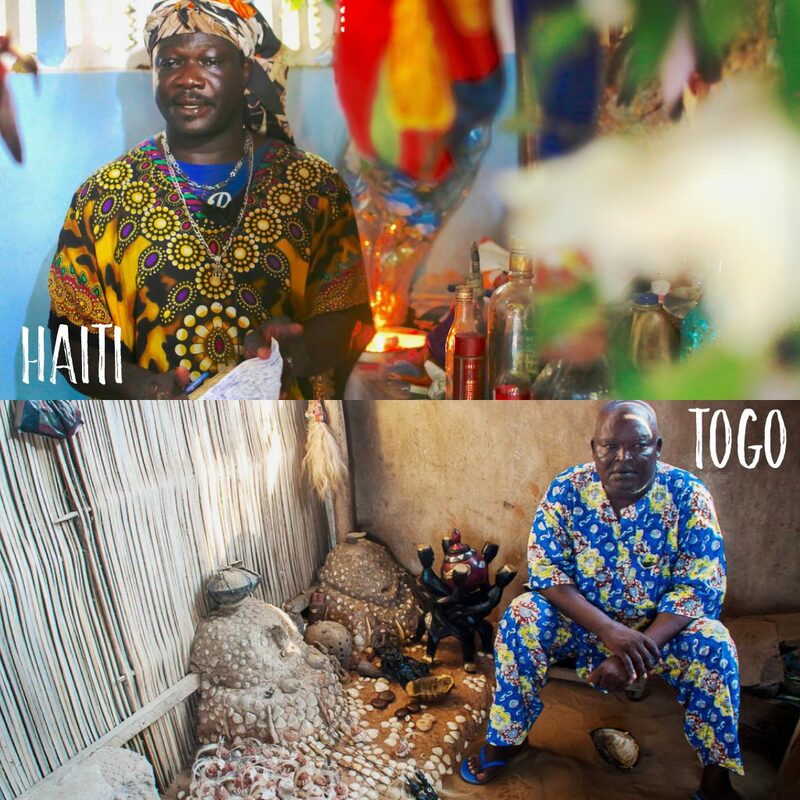 Togo’s roots in voodoo stretch next door to Benin, the West African country widely seen as the birthplace of Voodoo. Benin and Haiti share an extensive cultural history, both through the old slave trade and through the implantation of Voodoo in Haitian society as a religious force. Their three month trip, set to begin in January, 2019, will be two-fold. They will fly into Lomé, and spend the first two months in the extreme north in Nano. They will help the missionaries there in their evangelization work among Muslims. After the first phase, they will work in Notséin the South with David, “where Vodou reigns”, for a month, before returning to Haiti. Rujerry and Jean-William ask you to please be praying for : Final travel details to be completed, strength, power and wisdom to do good work, the softening of people’s hearts, that they might be open and ready to hear, and for the people of peace they will live and work with along the way. 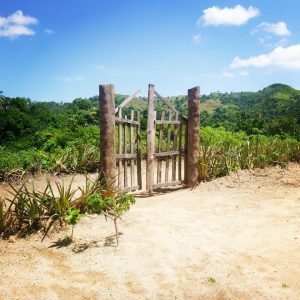 Emmaus is grateful to be a part of God’s plan, too, continuing to develop Christ-like leaders for the transformation of Haiti…and the world! A cousin tried to take him in for a few years, but she was unable to feed him, much less put him in school. Jonas’s sickness and agony continued, and finally, she left him at an orphanage at age 7, the orphanage he still goes home to now over Christmas and summer breaks at Emmaus. For the first time, Jonas’s life was full of education, food, and stories of Jesus. He learned that the sickness plaguing him wasn’t sickness, after all, but malnutrition. So much permanent damage had been done that he underwent corrective surgery at age 10 and was finally healed. He met Jesus over and over, and started telling the 70 brothers and sisters he grew up with that one day, he would be a pastor. The dream faded, however, at 17, when he stopped being influenced by people in the church and started to be influenced by people far from the Lord. When Jonas returned from the mission, he told the directors that he wanted to be baptized and follow Jesus. But he still wasn’t ready to give God his future. “Do you still want to be a pastor?” they asked Jonas, but Jonas said no. When Jonas graduated, he was pared with a sponsor from the United States, and that sponsor asked Jonas if he truly felt called to be a dentist. “I told him no, but that I was sure I was called to have money. He didn’t agree with me, but told me the same thing that missionary from Gwo Mourne had told me, to be in my Bible every day, and that God would make my path clear.” It was arranged for Jonas to study dentistry in America, and his visa work began. It wasn’t the only voice in Jonas’s life. His sponsor showed him Jeremiah 29:11, and though Jonas began to realize that God had a good plan for him that might not involve riches or dentistry, letting that go wasn’t easy. Weeks of prayer and fasting ensued, with pressure mounting. With that, Jonas finally stopped struggling against God’s best for his life. His very mother had forsaken her child, but God had his name written on the palms of His hands, and had a plan for Jonas’s life that could be trusted. Another graduate from the same orphanage was in the middle of his first year at Emmaus, about 3 hours from Gonaïves, and both he and Jonas’s pastor told him the same thing. “If you want to learn philosophies about the Bible or hear what people think about it,” they said, “Go somewhere else. But if you want to have God’s Word, go to Emmaus.” Jonas is now in his second year of study at EBS. 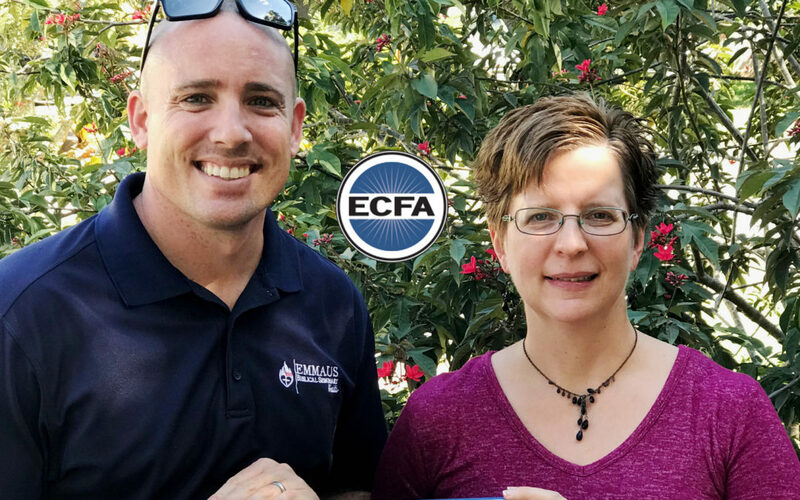 To help students like Jonas continue to be Biblically-equipped and well-cared for through EBS Haiti, please give online here now or send checks payable to Emmaus Biblical Seminary (memo line: Student Scholarships) to 1022 Main Street, Sabetha, KS 66534.